Hirshfield’s. Your Style – Our Expertise. And we mean it. Come to Hirshfield’s for the best selection of colors you’ll find in the Midwest. Usable colors. Colors that look great in your home. 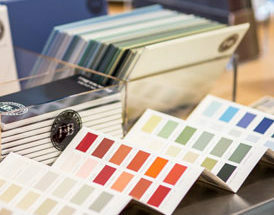 Choose from over 5,020 paint colors from the brands you can trust. And our paint specialists can help you find that perfect color in more creative ways than you’ll find anywhere else: you can relax in our cozy color centers; we’ll give you all the attention you deserve; if you need to try a color on your walls, we can tint any of our 5,020 colors in demo testers; we can even arrange for a Hirshfield’s Paint Color Stylist to come to your home. We just made choosing color easy! Explore our colors with this easy-to-use Color Picker. Don’t know the first thing about paint colors? Start here. 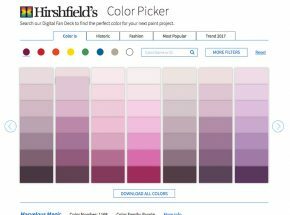 From basic Color 101 to exploring Color Trends, Hirshfield’s can help. Hirshfield’s is here to help. Find the right way for you to choose your colors: In our stores or in your home. At Hirshfield’s, we’re full of great ideas and helpful decorating tips. Visit our blog for the latest in home decorating. Join Hirshfield’s Color Club – it’s our loyalty email club. Daily Discounts and more..
Find your project inspiration here. 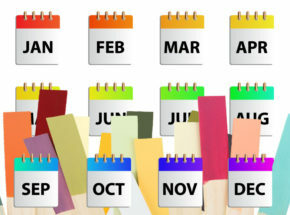 See the Hirshfield’s COLORS OF THE MONTH for 2018 and 2019.